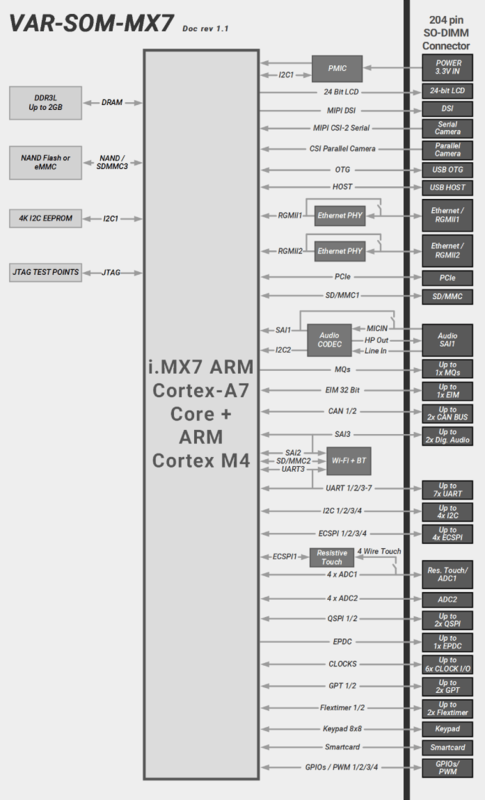 The VAR-SOM-MX7 is a highly flexible System on Module (SoM) based on NXP / Freescale’s i.MX7 family – a 1 GHz Dual-core ARM Cortex-A7™ processor alongside real-time 200MHz ARM Cortex™-M4 co-processor. 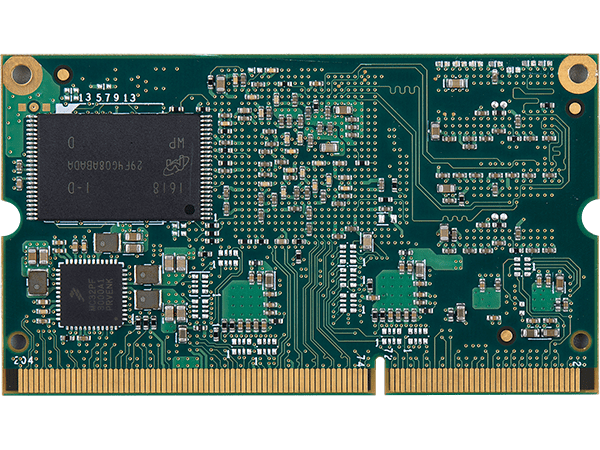 The VAR-SOM-MX7 provides a variety of interfaces and connectivity options – all packaged at an optimized power, size and cost. 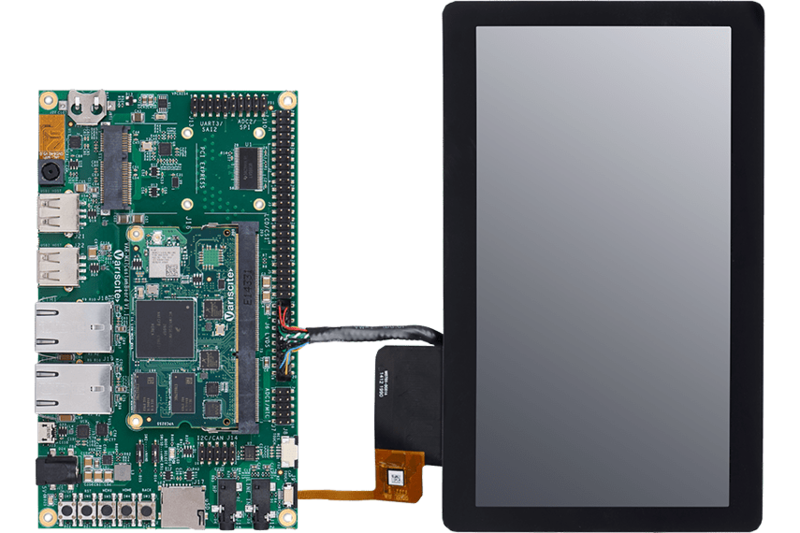 The VAR-SOM-MX7 highly integrated connectivity includes a certified Wi-Fi, Bluetooth/BLE, dual Gigabit Ethernet, dual USB, audio, display with touch panel and serial interfaces. 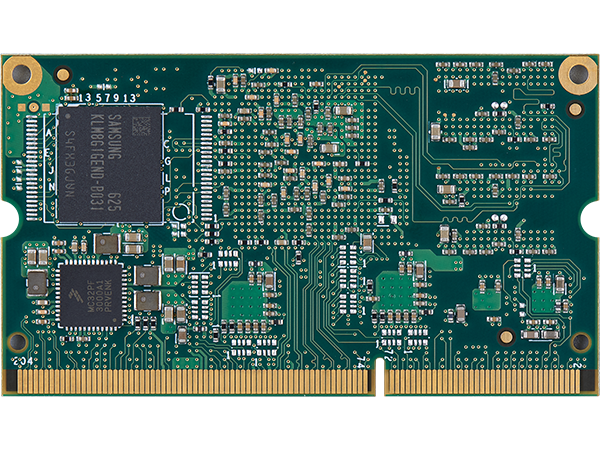 In addition, the system supports industrial grade targeting embedded application requiring a wide temperature range. 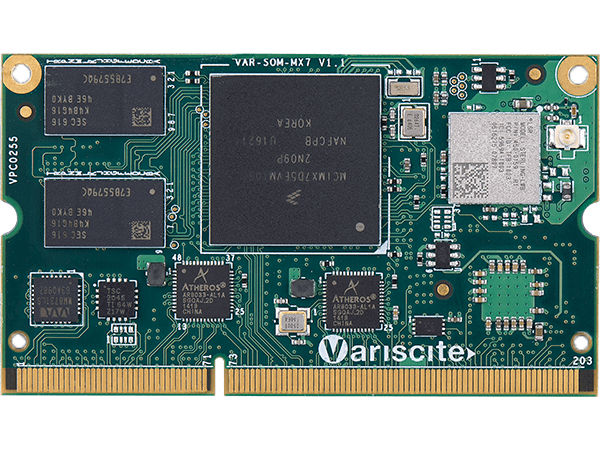 New: The VAR-SOM-MX7-5G carries improved features which include a certified Wi-Fi/Bluetooth module with dual-band 2.4/5 GHz and 802.11 ac/a/b/g/n. 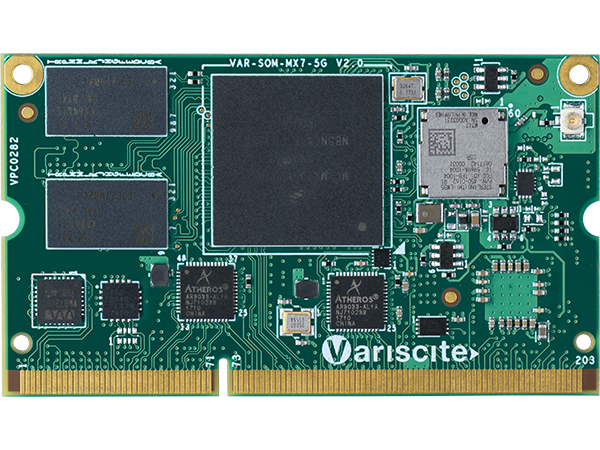 The VAR-SOM-MX7 Development Kit and Starter Kit can serve as a complete development platform for both evaluation and application development purposes. 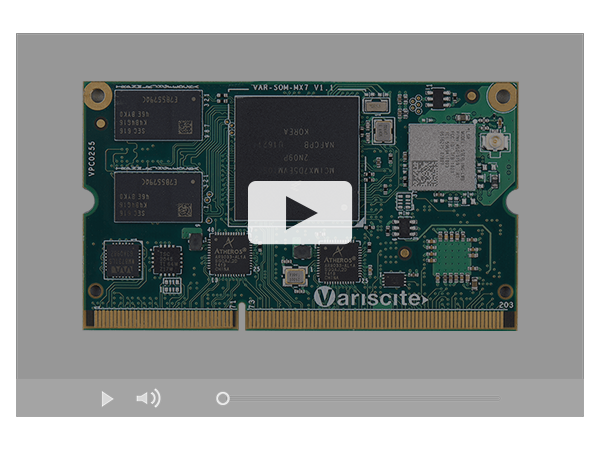 The kits provide a great showcase of the VAR-SOM-MX7 connectivity features and performance.